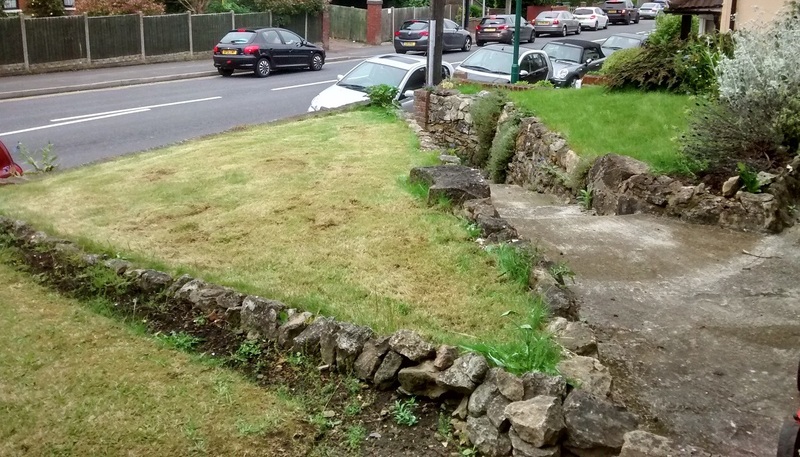 This front garden in Loose, Maidstone had two awkward triangles of grass bordered by ragstone which was difficult to keep neat and tidy and an overcrowded border on the right. 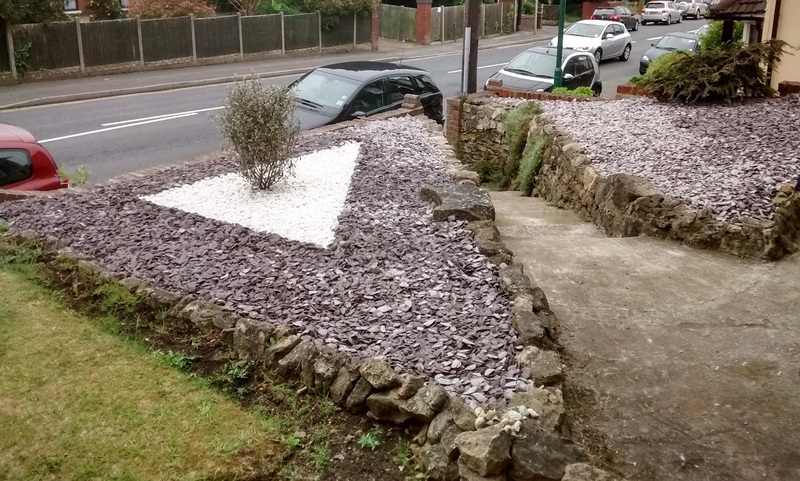 We suggested a solution using slate but to soften the effect we created a planting area in contrasting white pebbles separated from the slate using treated timber. The border was cleared, retaining two good quality plants which would compliment the finished project. 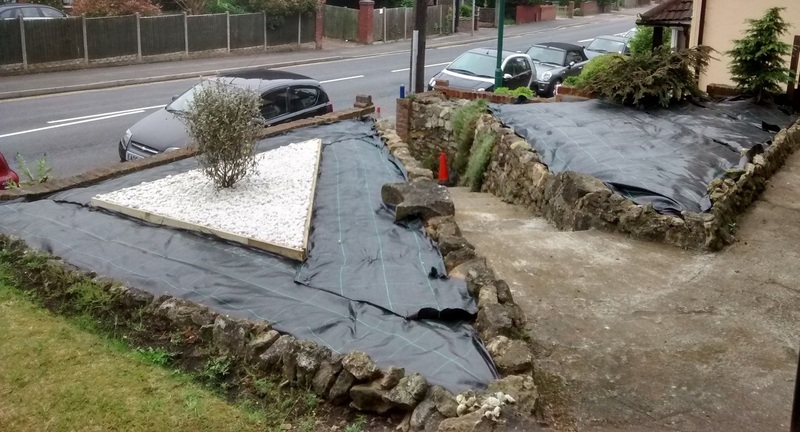 The finished garden with evergreen shrub planted through the membrane and plum slate laid. The effect could be further enhanced by planting though the membrane or using containers with bulbs or flowering plants to add colour and interest at different times of the year.